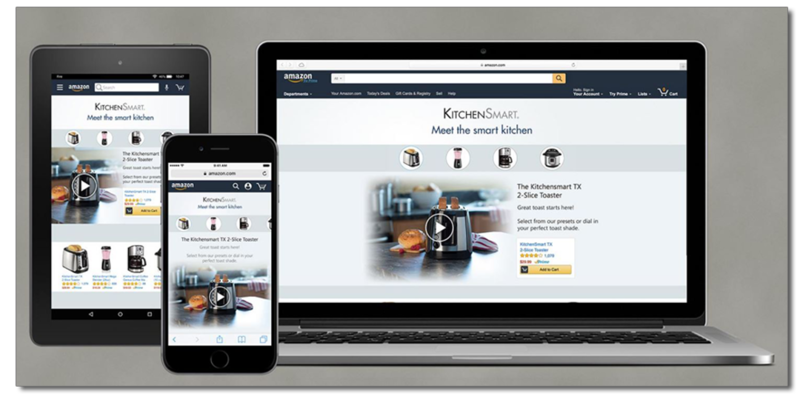 Amazon Marketing Services not only helps advertisers reach potential customers but also aids in measuring ad content success and creating engaging content. The targeting options and analytical information offered by AMS provides vendors with an efficient tool to optimize performance. Based on the search and shopping history of customers, AMS targeting options also provide suggestions to choose the best keywords as well as search intent for related or similar products. A robust AMS dashboard helps vendors gauge clicks, impressions, sales and other important information to adjust their bids accordingly. Who should use Amazon Marketing Services? 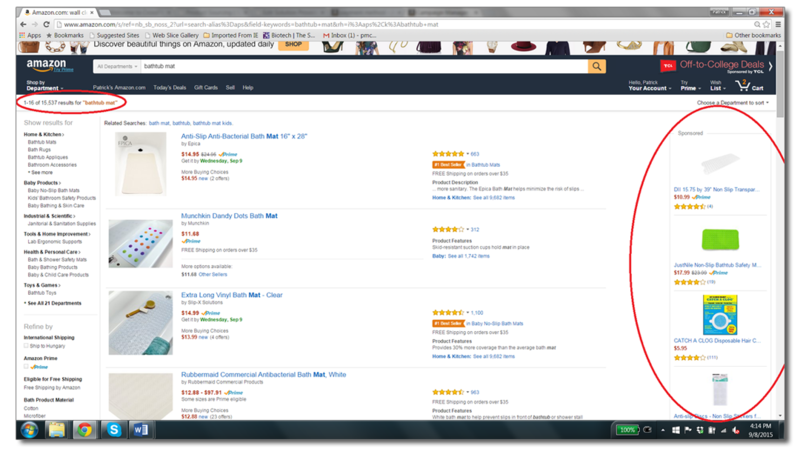 With millions of products on sale on Amazon, it takes a lot of time and effort to stand out, especially for new brands/products. This is where Amazon Marketing Services can help brands climb up the ladder and make their way to the top of search results page. AMS is a great tool to bring immediate page-clicks and increased brand discoverability. However, using AMS certainly does not mean that users should stop improving the quality of their content as solid basic and A+ content remains an important factor. 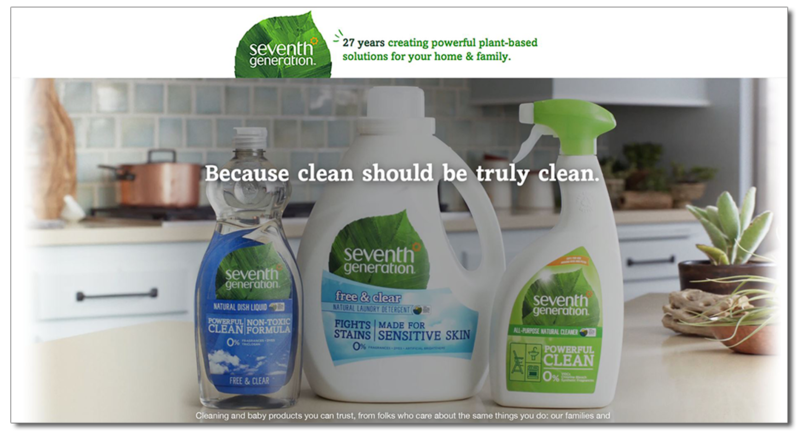 These ads can also be used to link with your own branded landing page, which can feature product information, pictures, suggested items and more. AMS offers three options to advertise i.e. Product Display Ads, Sponsored Search Ads and Headline Search Ads. However, all campaigns are cost-per-click and budget-controlled. 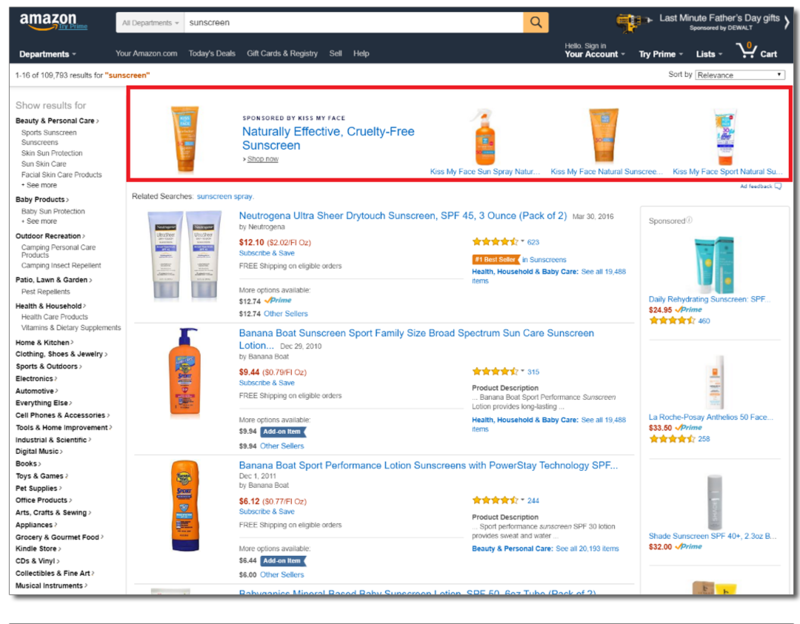 Branding and customer intent serves as the foundation of Amazon Sponsored Ads (Search Ads), while Product Display Ads are more product oriented. Deciding to choose among different campaigns depends on many factors, including strategic objectives and short-term goals. 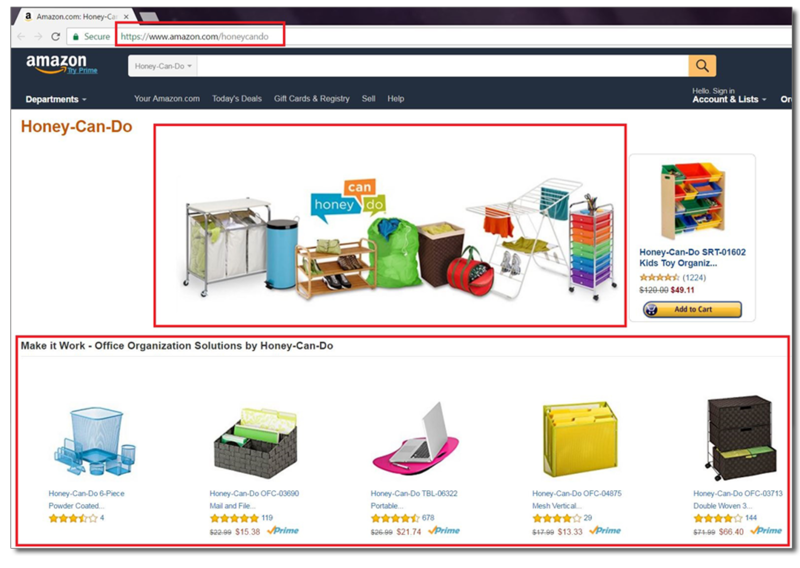 Sponsored Search Ads are a great tool to tap into customer searches and intent within Amazon Marketing Services and is Amazon’s version of banner advertising. Amazon charges vendors only when a shopper clicks the ad, allowing marketers greater control over their budget. 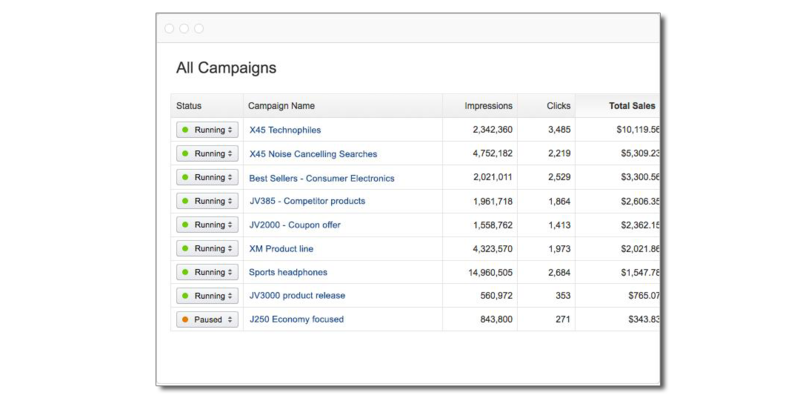 AMS has made is easier for advertisers to track different aspects of their campaigns, including clicks, impressions and attributed sales. Sponsored Search displays the ads with high visibility placement and shoppers are able to easily see them above the search results (the actual placement of Ads can differ, but it remains prominent). Vendors can also target their ads according to certain keywords relevant to their products and reach out directly to the customers. Compared to Headline Search Ads, Sponsored ads are more product-specific and allow advertisers to choose between automatic or manual targeting. 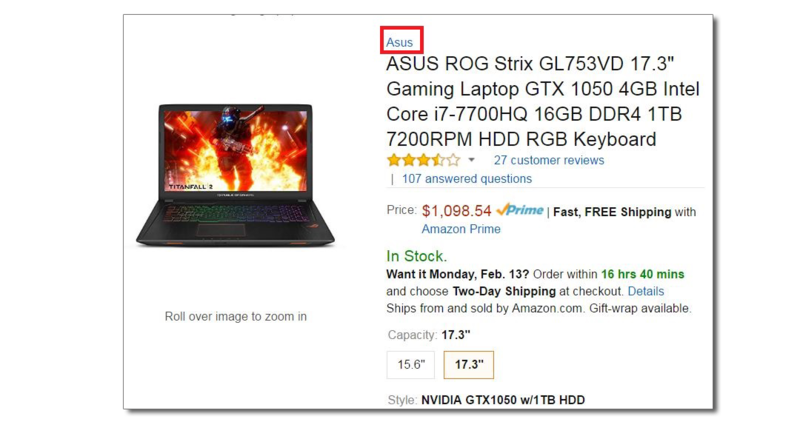 Amazon uses the available information and content of product pages to automatically target and match with relevant search keywords. Manual targeting involves choosing keywords to target product ads with. Both options have their own pros and cons as automatic targeting is easier to setup and appears on more searches, but is not as targeted as doing it manually. Compared to automatic, Manual targeting also generally results in a better CPC. These types of ads work best for general category searches and are displayed at the top of search results featuring several products and a custom text-headline. Keywords are used to target these ads, which can be particularly effective as they provide an opportunity to interact with shoppers’ right at the beginning of their search process. For example, if a shopper just searches ‘laptops’, the keyword does not provide enough information whether he/she is looking for gaming, a multi-purpose or just a general purpose laptop. Headline Search Ads can display a general copy of the ad as well as a variety of related products. Headline Search Ads also enable the advertisers to send shoppers’ clicks to custom URLs, brand pages, search results pages or product pages. This is the biggest strength of these ads as they don’t limit advertisers to just product details pages. For example, if shoppers searched a general query such as ‘laptop’, advertisers can help them narrow down their search and present with THEIR products. Product Display ads are only shown on the product detail pages and also serve as the last option to advertise before the shopper clicks the ‘Add to Cart’ button. Product Display Ad campaigns can be targeted by interest or by product and help drive sales by boosting product visibility. Product-based targeting allows advertisers to choose the product pages they want their ad to appear. This is particularly effective when you want to specifically target a product of your competitor. However, the scope of these ads remains limited as you have to choose each product individually, which can quickly become a daunting task if you want to advertise on many products. It’s also very useful if you want to display your product with another relevant product. For example, you can place an ad of laptop cooling fan or a gaming mouse right next to a gaming laptop. Product Display/eCommerce Ads linking to your product pages can reach millions of Amazon customers, which if done properly can help notably increase sales. AMS aims to create a win-win scenario for both advertisers and the customers. It allows vendors to target customers based on their interests, while providing customers with very relevant ads. AMS targeting based on target products shows customers the products they have been actively searching. Product Display Ads also provide vendors the access to customer information, including interests e.g. customers searching for gaming laptops or workstation PCs. There are three different targeting options available in Product Display Ads: Untargeted Ads, Interest Targeted Ads and Product Targeted ads. Although Amazon Untargeted Ads reduce relevance, they are displayed to a wider range of shoppers and can result in greater no. of impressions. The interest targeted ads are displayed to shoppers with shared interests and can deliver more qualified traffic. Product targeted ads are displayed to shoppers searching for or browsing through the target products. Although product targeted ads have historically resulted in lower impression value, they deliver highly qualified traffic. Product targeted ads can deliver twice or even more ROI compared to interest targeted ads. Advertisers have three options at their disposal when deciding how to display Ads i.e. Sponsored Product Ads, Product Display Ads and Headline Search Ads. Sponsored Product Ads are displayed in the actual search results. Product Display Ads show up on the side/bottom of search result-pages and also on related product pages. Headline Search Ads are displayed at the top of search results, but can also include a custom copy of the ad. 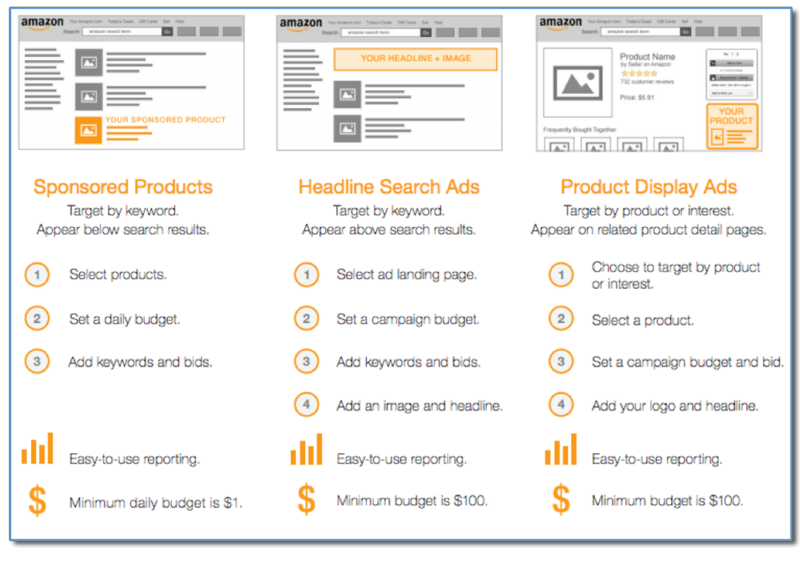 Depending on the type of ad campaign you have selected to run, your ads can appear in multiple categories. Although there are already many differences between Seller and Vendor accounts, the most notable difference when it comes to ads is that Vendors are allowed to utilize all three ad types, but Seller Accounts are only limited to Sponsored Products. Each type of Ad campaign serves a different purpose and the best results can be achieved when they are used in combination. Headline Search ads are effective in creating brand awareness, while sponsored ads are better at targeting shoppers interested in a specific product. Product Display ads are effective when you want to keep your potential customers within your branded shopping environment at Amazon. However, each of these campaigns has its importance and a place in the Amazon conversion funnel. Regardless of the campaign type you want to run, setting up an Amazon Brand page will help a lot and it also serves as the landing page when using Headline Search Ad campaigns. 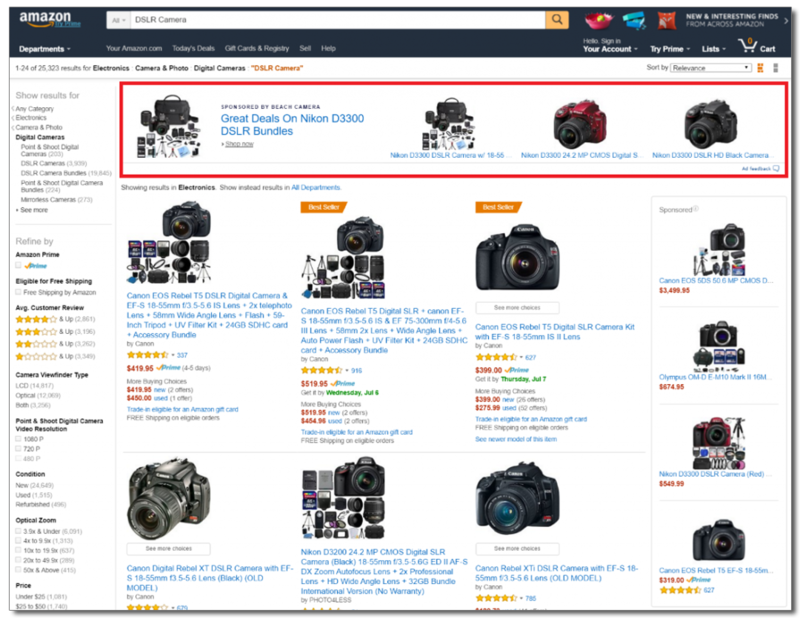 Brand Pages play an important role in advertising on Amazon for Amazon vendors (not available to 3rd party sellers) and allow creating a unique brand experience. Advertisers can use them to highlight products and share their brand history within Amazon. They can also serve as landing pages if you are using Headline Search Ads. Amazon allows you to have one Page per Brand and it’s free to create. A brand page can be accessed through any product page by clicking the brand name just under/over the product title. The brand pages can also be used to cross-post on social media, allowing advertisers to make the most out of them. Compared to any other site, Amazon’s visitors have the strongest buyer intent, making it very important to properly set up brand pages. 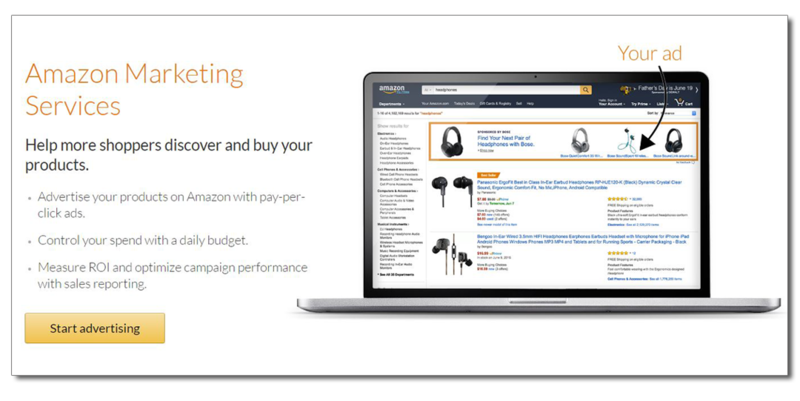 The brand pages serve the purpose of keeping shoppers within your ecosystem on Amazon after they arrive through your ad or product page. Amazon provides four templates for brand pages that feature different combinations of five widgets i.e. hero, merchandizing, all products, photo and text. Three of these widgets are manual, while the remaining two are automated. Amazon dynamically manages the automated widgets for a unique experience tailored according to each visitor. The Recommendation Widget is limited to one per page and displays up to seven most relevant products without requiring any user interaction and features products with title, image, rating, price and an ‘Add to Cart’ button. Best Sellers widget displays up to 20 best sellers automatically and is also limited to one per page. The Featured Products widget offer more customization and freedom to manually choose up to five products to highlight. The selected products can be arranged in any order and include a title, image, rating, price and an ‘Add to Cart’ button. The Collection Widget can be used to bundle products for purchase e.g. gaming pad with gaming mouse and keyboard. This widget also allows creating customized headlines and featuring a product with a title, image, rating, price and an ‘Add to Cart’ button. Featured Links widget allows adding up to five links and is the only widget you can use to link to a page other than the product details page. This widget works best when you want to create a link to your complete line of products. While Google is the first place where people search for information, Amazon is now their favorite spot to search for products. That’s why ecommerce advertisers are now focusing more on Amazon Marketing Services and shifting their marketing budgets from Google and other platforms such as Facebook. Amazon also provides the ability to directly connect with shoppers and target those who are already there with a shopping-mindset. Advertisers usually experience lower cost-per-click and a better return on advertising spends compared to other platforms. Amazon marketing services therefore offers advertisers a cost-effective tool to stand out and creates a powerful punch.